CHICAGO (WLS) -- Could the lost Confederate gold treasure that was stolen after the Civil War be buried somewhere in northern Lake Michigan? Two Muskegon treasure hunters strongly believe it is. the puzzle, which would put them a step closer to proving their theory true. When they decided to go public last December, the duo admitted they weren't searching for lost vessels at the time of making their Griffon claim. Instead, they say they were looking for gold treasure. 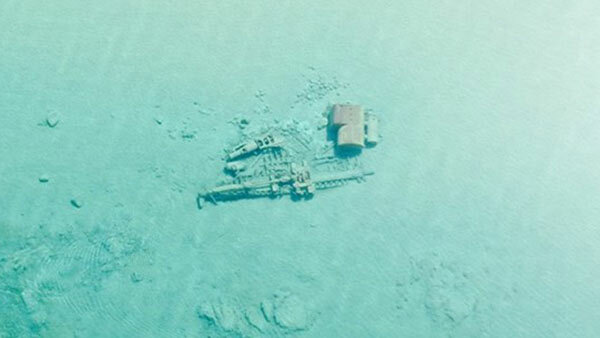 A U.S. Coast Guard helicopter was a on a routine patrol when the crew spotted shipwrecks in northern Lake Michigan and got pictures of them. dove on their discovery for the first time. Frederick Monroe for the past several years. dollars of gold bullion resting inside of it. sure this season we'll find it." 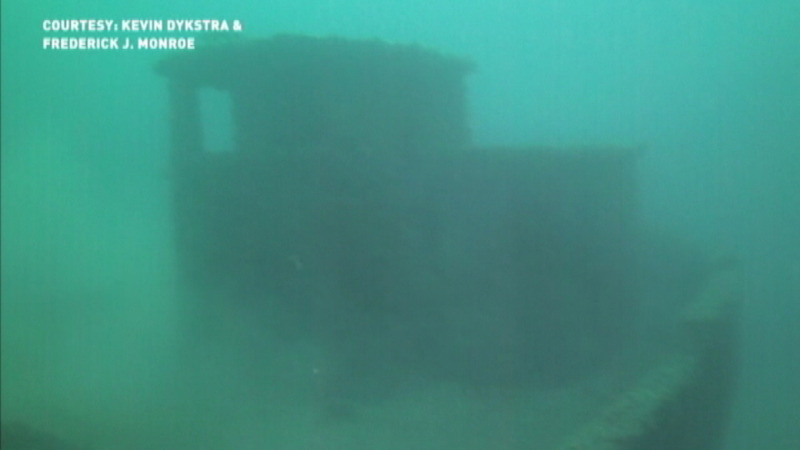 Dykstra and Monroe believe the lost Confederate gold treasure from the Civil War is somewhere at the bottom of Lake Michigan, thanks to a two-part story that has transcended generations, and was last relayed to Monroe in 1972.
that there's 2 million dollars of gold bullion inside a box car that fell off a ferry into Lake Michigan." After four years of research, Dykstra and Monroe revealed in January, a man by the name of George Alexander Abbott, delivered the deathbed confession. Abbott died in Muskegon, Michigan in 1921. At the time of his death, Abbott was a prominent banker in Muskegon, elevating as high as Vice President of Hackley National Bank, under former Muskegon lumber baron, Charles H. Hackley. "We believe wholeheartedly that the Confederate gold story is true, and we believe that the box car is out there," said Dykstra. It is fact that in the late 1800s, near Frankfort, box cars were shoved off ferries into Lake Michigan to lighten the load during bad weather. The deathbed confession was only half of the story, according to Monroe. His friend offered up a second tale in 1972. "He told me about a boat that has a cabin in it, which has a safe in it, and inside the safe, there was jewelry, gold and silver," added Monroe. Even though this mystery ship, presumably loaded with treasure, was part of the story Monroe heard, the two explorers admit they weren't looking it. But it may be what they found in April. "We were searching for the box car when we decided to make one final pass and head out towards deeper water," said Dykstra. All of the sudden, a large image appeared on their sonar. It looked like a ship sitting upright on the lake bottom. "Kevin got suited up," said Monroe. and his brother, Albert, threw on their dive gear and prepared to descend to the deep. "Rather than aborting the effort, we decided to go through with it," said Dykstra. The two entered the water, and their 120-foot dive to the bottom was underway. As Kevin worked his way down the dive rope, he says a perfectly preserved vessel came into view. He says it didn't take long to determine that it was a tug boat, and it was roughly 70 feet in length. investigation of the shipwreck. "Just back from the winch, I came across the mast which was sticking straight up." Just beyond the mast was a hatch cover on the deck of the vessel that somehow didn't pop off the boat, due to pressurization, while it sank. It was still completely intact. ship, he was likely exploring a previously undiscovered wreck.